mic’ing up an acoustic for a good sound. Congrats Mike You’re winner #2! Promo code sent to the email you used to comment. I picked it up today after it went on sale. Having been a guitarist for going on 23 years, it seems a bit weird to buy a guitar simulator app, but seeing that MIDI will be coming sealed the deal for me. 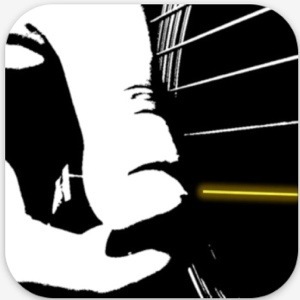 Looks like a pretty solid app, garage band is the only guitar sim I have played with but it doesn’t quite do it for me. As a guitarist, nothing beats the real thing, but this looks very interesting and ciould be great fun. Thanks for another insightful review. Nice review, I wonder how well this holds up against Six Strings. Congrats you are winner #1 of a promo code for Guitarism! Ill send it to the email you provided to comment. Good review, i agree about the smart string IAP or is it we just expect to much nowadays? Good work – great review. Especially like… No FX but neither do real guitars. Quality! Your name came out of the hat for the last promo code. Congrats! That is a pretty good prospect of a guitar app. I hope that each iteration makes the experience more realistic sounding. Great review, thanks! I totally agree. I play guitarism with jamup hooked in (obviously through audiobus) and the result is more than satisfactory. I am hoping the developer will come up with the ability to switch to a bass guitar interface and apply much of this intuitiveness to that interface too! Thanks for all the votes of confidence guys! To be clear, guitarism does allow finger-picking without Smart Strings. You can play individual strings one by one, and you can also multi-touch with up to 5 fingers to play multiple strings simultaneously. You don’t need to buy any IAPs to do this. That said, it’s tricky to do this on an iPhone because guitarism is highly optimized for strumming so the strings are very close together. 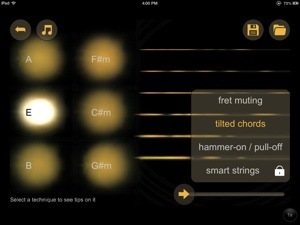 This is a trade-off every single guitar app has to make between quality of strumming and ease of finger-picking. If you compare different guitar apps you’ll notice that the ones with a good strumming sound have strings close together and thus harder to finger-pick. The ones that optimize for finger picking move their strings further apart and have a weaker strumming experience. Some of them try to compromise and do both, and then end up failing at both. So while “finger-picking” is definitely a standard function and is thus supported in guitarism without Smart Strings, no guitar app has been able to combine “easy finger picking” with “good strumming sound” in a single interface. It took me about 2 years of design iteration and revision to crack this problem and my resulting invention was Smart Strings. Smart Strings is the only guitar interface I know of in any app that achieves the combination of easy finger picking and good strumming in one interface. 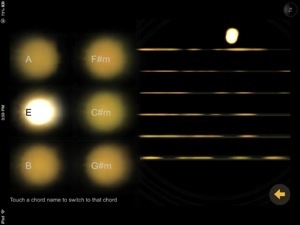 It achieves this by spacing the strings very far apart by default (further than any other app I know of), and then intelligently bringing the strings together when you start to strum, so that the quality of the strum sound is preserved but individual strings can be played easily too. Basically it gives you the best of both worlds – the easiest finger picking and the best strumming – without having to go into the settings to switch to ‘strumming mode’ or ‘finger-picking mode’. The strings are smart enough to switch modes for you while you play. In the curent release (v2.21) the balance between wide and narrow is currently a bit off so the strings go narrow too often. The next update will fix this and make the feature this much more solid and usable. It will effectively be the easiest finger-picking (because the strings can be as far apart as possible) as well as the best strumming. So given all this, I feel that it’s fair for me to charge for a feature that solves an extremely hard design problem that all guitar apps suffer from, which took me 2 years to invent and no other app currently offers. In fact, once the next update comes out I plan to raise the price of Smart Strings since it’s getting better (existing Smart Strings users will get the improvements for free). Thank you for the detailed, and very thoughtful comments! While I do respect the point of view you have about the “Smart Strings” feature I still somewhat disagree about charging extra for it. I feel guitar ( all music apps really ) apps should do their best to emulate the natural playability without compartments of additional features that don’t match what it’s real world counter part does. Sure the finger picking is possible as is and mostly not a problem for me, but if a better option to make that aspect more enjoyable or easier to perform, it should be part of the entry price as a standard feature. Think of it this way; a synth app has monophonic and polyphonic. If a synth app charged extra for one or the other while only including one it would be a huge turn off for users. Arguably a foolish development choice. If I buy a polyphonic synth but am expected to pay for the monophonic function separately just because it has clever coding to make the experience more realistic, who cares? We just want to play the instrument. Harsh sounding, but not intentionally. Just trying to make the point stick. Strumming and finger picking are similar as they are also normal functions of the instrument. Regardless of programming nuances, the best options should always be the first options and never cost extra. I’d suggest including Smart Strings as a standard function and just raise the overall app price a little. I understand the IAP needs to continue brining in revenue, but not for a basic instrument function. Maybe IAPs for FX? pedals like one would expect to have to buy separately for a real world guitar? That makes a lot more sense to me. At any rate, Guitarism is fantastic and I love it! I hope you find a solution that will work for you but also meet the expectations of end users. Cheers to much success! Please don’t take anything I wrote overly harsh, text conversations leave out the vocal queues that indicate a positive attitude. think of me talking to you with a friendly sincere calm tone eager for your success. Thanks for the thoughtful response David! I don’t take any of this harshly at all. For the same reason, please don’t take any of my comments as harsh or attacking either – I have tons of respect for what you do, and for all my users in general, and I truly believe that I need to hear this kind of honest feedback in order to make the app better. I do understand your point. In the world of physical instruments, when you buy a guitar you buy the whole thing, you don’t pay extra to use certain strings or certain frets, so for the same reason users wouldn’t want to pay extra for something that feels like it should be part of the instrument. On the other hand they feel more comfortable paying for things that feel like they’re separate from the instrument, like effects. As such, I feel that smart strings is exactly that – a special pack of strings you buy which allows you to do more than the normal strings. It’s a tricky issue. Folks might feel that MIDI should be included in the price, and custom chord creation should be included in the price, since many other apps include these things as standard. Something like smart strings is at least a unique, exclusive feature that you can’t get anywhere else. But either way, if I were to include all those features as part of the app and increase the price, I would end up pricing the app out of the range of a lot of people, and then I’d get negative reviews from people who only use 1% of the features and complain that it’s not worth the price. Or if I don’t increase the price then I don’t really get a return from my investment in working on those features. Because of this I personally believe very strongly in IAPs to allow people to buy the parts of the app that they want, and skip those that they don’t care for, thus essentially naming their own total price for the app based on what they will use. If I could start from scratch I would probably have made a free base app and then charge for sets of features separately like advanced techniques (muting + tilting + hammer/pull + smart strings), recording+export functionality etc. Of course now that some of these features are in the app I can’t take them out, so now I have an app that some people tell me is easily worth $10, and others say is not worth more than $1.99. The people who want it to be $1.99 probably don’t need any of the advanced features, and would rather have a basic chords-changing app that cost $0.99 or free. Another thought I had on this last night. 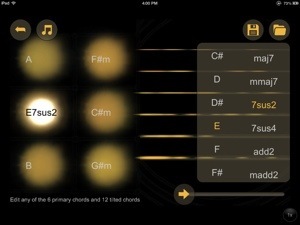 Many guitar apps offer a strumming mode and a ‘lead guitar’ mode to play notes on a virtual fretboard. And of course, real guitars can be played in both ways. But guitarism doesn’t have a lead guitar mode, because I find those fretboards to be completely unplayable – they are all ‘hunt and peck’ exercises where your brain is too busy worrying about finger accuracy to think about music. So I’d like to create a really good lead guitar interface where you can focus on the music. Something that far exceeds all the other apps. It might take me months of trial and error to get it working, and for all I know I might fail and give up. But if I succeed, it will be a first. So if I create something like this, folks might feel it should be part of the app since a real guitar lets you play lead or rhythm without charging extra (never mind that it costs hundreds of dollars…). But if a ‘lead guitar’ IAP is not going to be acceptable to people, I would rather (a) not spend the time to try inventing it, or (b) sell it as a separate ‘lead guitarism’ app. 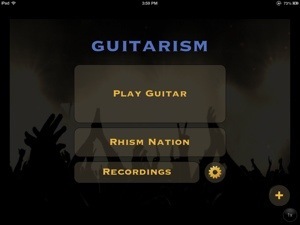 Neither of those are good outcomes – the best outcome is that this would be part of guitarism so folks can switch back and forth quickly, re-use their IAPs across both modes, etc. Given this comparison I felt that $5 is a reasonable price for the Triple Play IAP. But of course, always open to feedback. Any thoughts on things I could add to Triple Play to make it worth the $5 in your eyes? I didn’t mean to be harsh, if it seemed so? You know, I hadn’t even considered that comparison you pointed out. That really puts things into perspective. Like I said though its none of my business how apps are priced. I was just stating my own personal opinion, which to he honest I’m really kind of on the fence a bit regarding IAPs. I don’t prioritize MIDI, so my expectations may be skewed? I’m unlikely to ever pay the IAPs you used as comparison. On the flip side, those who do often use MIDI or depend on it may see it as a great value? We app consumers are honestly very spoiled. Anyway, you make a really solid point. Im starting to see the point of IAPs better. I’m going to refer to your comment in an edit and point out the comparison you made that makes a load of good sense. Not harsh at all – just sincere and honest, which I value *immensely*! As anyone on the Audiobus forum can tell you, I quite enjoy discussing this stuff with folks and am quite open and transparent about my side of things. The fact that you don’t prioritize MIDI is exactly why I believe IAPs are a good thing – you don’t have to pay for things you don’t want. I’ll be adding many more value-packed IAPs to guitarism, and all combined it’ll probably eventually become a $20+ app but instead of paying the full amount people can just buy the pieces they care about. Cool. That really makes a lot of sense. I really appreciate you interacting and commenting. I wish more developers would do that. Cheers! Just downloaded it 19/10 for my ipad mini, however it wont run, saying I have an old ios; 7.1.2. Seems odd since ios 8 is so new and buggy? Any advice?